The room was silent as Orbital ATK employees in Chandler, Arizona learned how to engage younger generations and ignite their interest to pursue careers in science and engineering from the most inspirational group of experts—the students themselves. During the event, employees heard from Arizona’s student Chief Science Officers (CSOs) from local high schools. The students presented a panel moderated by Jeremy Babendure, Ph.D., assistant research professor at Arizona State University and the University of Arizona, and discussed their focus on promoting Science, Technology, Engineering and Math (STEM) within their schools. The Arizona-developed program is currently in its pilot year and has 90 middle and high schools participating with 130 CSOs who were elected by the student body. Their position is to champion campus-wide engagement, interest and popularity of science and innovation and serve as an ambassador to the community. The students each told their stories on what inspires them to like STEM fields. Answers ranged from being exposed to science activities at an early age to role models and inspiring teachers. Each student had a desire to ignite the passions for STEM within their fellow students and younger children so they know how exciting and fun it can be. 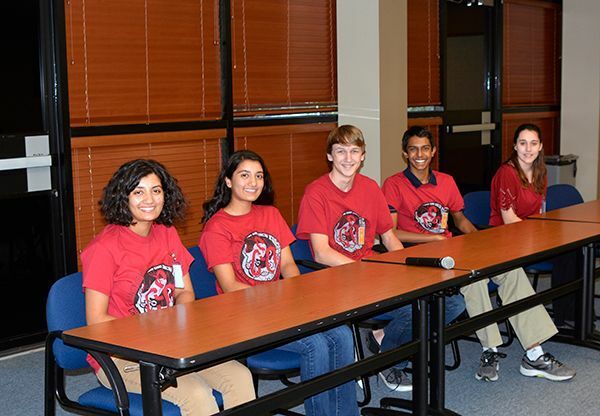 “We want to inspire others so they understand you do not have to be super geeky to go into science, you just have to be curious,” said Dhruv, one of the CSOs from Hamilton High School. To make the CSO program more successful, the team is looking for “Jedi Mentors” to support these students in their new roles. Several Orbital ATK employees signed up during the event, hoping to inspire the next generation of engineers and scientists. The panelists smile for a photo before beginning their discussion on how to engage younger generations and ignite their interest to pursue STEM careers. Local Chandler, Arizona area high school Chief Science Officers learned about 3D printing at Orbital ATK's Chandler, Arizona facility. 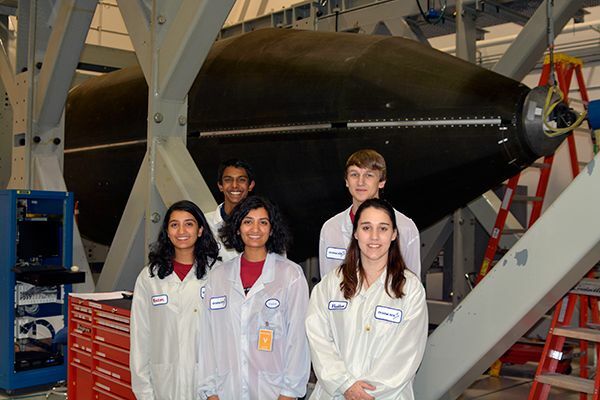 The students received a tour of Orbital ATK's Chandler, Arizona facility and pose for a picture with a rocket faring.